Navot Bar, CEO at Shikun & Binui Renewable Energy addresses the challenges of sponsoring, developing and building PV power plants. In recent years the world has witnessed the growing popularity of photovoltaic (PV) power plants. The construction of green power plants, electricity generation and core technologies are becoming more efficient, and energy prices are falling. The world is awash in incentives for green energy entrepreneurs, mainly various kinds of tax benefits and a commitment to purchase electricity at a guaranteed, and sometimes subsidized, price. Though the construction and operation of a photovoltaic power plant have become more of a logistic challenge, the development process is still a complex challenge. It is an integration of different disciplines: business development, engineering, law and regulation, and financing, which need to be harmoniously orchestrated. Success depends on the interdisciplinary approach of the project's leading team. It is extremely important that no team member involved in the project be hemmed in by the constraints of its discipline. If the various disciplinary team members are not flexible toward each other, the project will not be implemented. The disciplines must be intertwined. Business development people do not finish their jobs and send them on to finance or engineering personnel. They work together from the feasibility stage, even before they know whether the project will mature or not, and each has at least some knowledge in the expertise of the other.Whereas in the past the construction of a photovoltaic plant was a complex engineering project, with complex financing issues, today the foundations and building blocks of a PV power plant are well known, and the project is actually a logistic challenge: the proper execution of the procurement, and ensuring that the raw materials arrive on time and are distributed wisely at the site, in order to assemble the plant in the most efficient manner. The initiative to build a photovoltaic power plant usually comes from the developer. The electricity authority in a particular country sets the rules of how one can engage onto the grid. The current common method for choosing a developer to buy the generated power from is a tender, with the electricity authorities or distribution companies setting quotas and the developers competing for the price at which electricity will be sold. Those who offer the lowest prices are the winners. In the past, by the way, the common method was feed-in-tariff, in which the electricity authorities set tariffs and quotas, and whoever managed to get all the necessary approvals and permits at the highest speed became the winner. Therefore, determining in advance the correct prices of the electricity produced at the photovoltaic power station is very important for its economic viability. The prices are determined according to various considerations. For example, in countries where the irradiation is relatively low, prices will be higher. On the other hand, irradiation is not the only variable that affects pricing. Additional variables such as land cost, available financing terms, taxes, local construction costs and regulatory conditions are taken into account. During planning, it is important to take into account a variety of considerations. For example, when selecting the land plot for a project, the developer prefers that there will be an optimal clear way for sun-light and minimum potential shading from nearby obstacles (which is reflected in the reduction of electricity production hours), and must be aware of the dust regime on the selected surroundings that can impair generation (and may lead to high maintenance expenses). The developer must also know in advance the state of the power grid in the area of the planned PV plant. For example, there are countries where the power grid is jammed, which causes the developer to get stuck in the middle of the process after he has already invested considerable money and effort. Therefore, the relevant authorities need to release maximum information regarding the state of the power grid, so the developer will know where to find the right land, rather than relying on trial and error. It is important to note that photovoltaic projects often encounter obstacles, such as regulatory and statutory hurdles, market competition, etc. No project is problem-free, and the developer must know how to eliminate them on the go, and even better "“ to avoid obstacles before they occur. One good example for reducing obstacles during the development process is the way a developer maintains his relations with the different stakeholders of a project. Having a nearby community involved in a project and benefitting from creating jobs during construction and operation is one classic tool for preemptively eliminating resistance. When developing a PV power plant, the developer should work with recognized and reliable contractors. At the same time, the developer must supervise the planning, the selection of equipment and the construction, so that there are no surprises at the end of the process. It is also important to make an accurate forecast of the power production level. The environment must be protected, and there are sometimes special situations that must be observed, such as trees that are to be preserved and moved to another place. Shikun & Binui Renewable Energy has a sustainability manager who handles all aspects of environmental protection including community relations. When the PV power plant is completed up and running, it becomes a safe cash-generating business. The off taker purchasing the electricity (usually a local electricity company, distributors or private power intensive client) is a stable entity. The technology is also stable, as are the expected solar hours. All this makes the PV plant a tool that generates cash at a very predictable, fixed and long-term level. Operational risks are no longer high. Therefore, ownership of the plant during the operating period is very attractive to various entities, such as pension funds and insurance companies, which are interested in acquiring partial or full ownership in the plant. The world is going to hybridize electricity production. One of the disadvantages of renewable energy is that, unlike fossil fuels, renewable energy works only when an energy source exists, such as sunlight, wind or water flow. As the grid increasingly relies on renewable energy, there is a mismatch between production and consumption, or at least a timing mismatch. One solution is to store energy for hours when production decreases or ceases entirely. 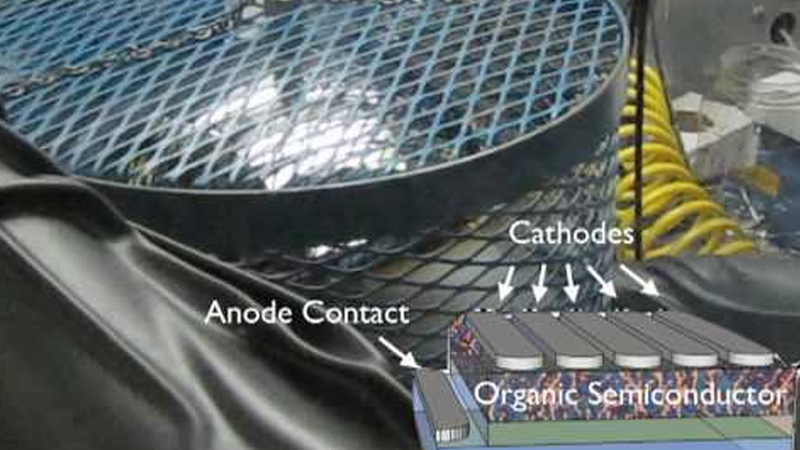 At utility scale, there are three main storage methods: pumped storage (the Shikun & Binui Group, for example, is currently completing a 300 megawatt pumped storage project in Israel), thermal storage using thermo-solar technology (heat preservation by means of very large containers of molten salt), and batteries. In addition, it is reasonable to assume that fossil fuel production will not disappear, but rather decrease, and the amount of renewable energy will increase. Shikun & Binui Renewable Energy has just started the construction of the largest photovoltaic project in Israel, and one of the largest in the world "“ 120 megawatts. The project is being built in Kibbutz Tze'elim, in the southern part of the country, and covers 370 acres. The photovoltaic power plant will replace a solar thermal power plant initiative that started nine years ago at the same location. At some point, the government has asked Shikun & Binui Renewable Energy to convert it to photovoltaic technology. Shikun & Binui Renewable Energy has been active in its current form since 2008 and has 55 employees. To date, the company has been involved in dozens of projects. Shikun & Binui Renewable Energy is located at Airport City, near Ben-Gurion Airport (Israelâ€™s main international airport). It has an office in Colombia that coordinates the companyâ€™s operations in South America, and is about to open offices in the United States. Shikun & Binui Renewable Energy is part of a very large global infrastructure conglomerate that conducts a wide variety of projects, such as construction of roads, bridges, railways, power plants, desalination plants, residential buildings and more. Shikun & Binui Group is engaged in all aspects of the projectsâ€™ life cycle: development, financing, construction and operation. 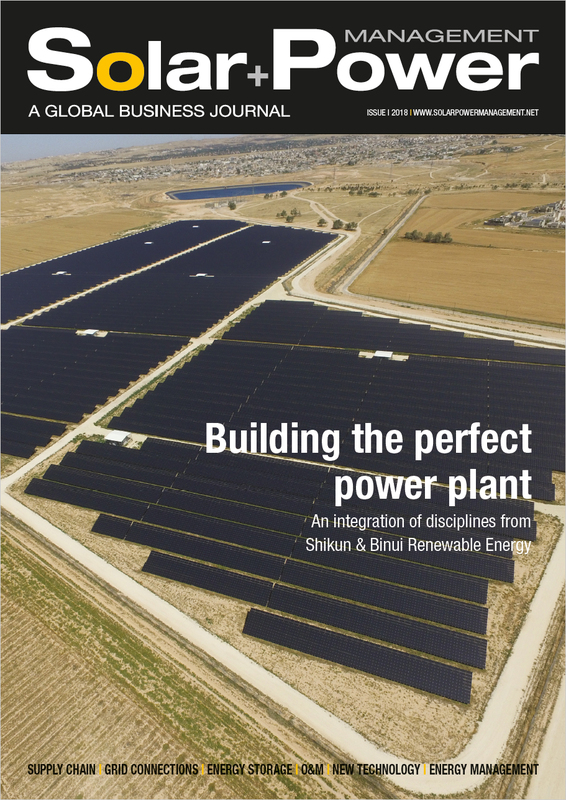 The experience amassed in the infrastructure sphere gives Shikun & Binui Renewable Energy an advantage, and the company benefits from extensive information coming from the world of infrastructure, including complementary knowledge for its projects.